In January 2017, Hatzel Vela became the first local television journalist in the country to move to Cuba and cover the island from the inside. During his time living and working in Cuba, he has covered some of the most significant stories in a post-Fidel Castro Cuba. Months after arriving on the island, he exclusively spoke to Mariela Castro -- daughter of President Raul Castro -- about her father, a coming transition on the island and human rights. He was on the central northern coast of the island as Hurricane Irma -- then a Category 5 storm -- battered the entire island. Subsequently, Hatzel covered the damage left behind. Since the story broke on the mysterious attacks on American embassy workers, Hatzel has stayed on top on new developing information. Prior to his assignment in Cuba, Hatzel has covered some of the biggest local and national stories at Local 10. 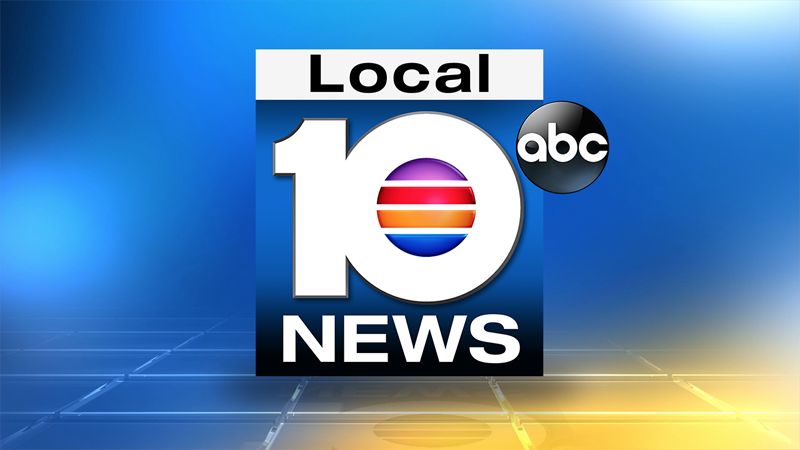 In the early morning hours of Nov. 26, Hatzel was the first on air at Local 10 to tell viewers about the death of longtime Cuban President Fidel Castro. Eight hours later, Hatzel was on the ground in Havana reporting on reaction from the Cuban people. In March 2016, he was part of a team to cover President Barack Obama's historic visit to Cuba. Since the U.S. and Cuba renewed diplomatic relations on Dec. 17, 2014, Hatzel has reported from the communist island numerous times. Hatzel covered the first American diplomatic visit in January 2015 and was on the island twice when Pope Francis visited; the first for a pastoral visit and subsequently to meet Patriarch Kirill, the head of the Russian Orthodox Church. Such meeting had not taken place since the Catholic and Orthodox Churches split in 1054. Hatzel is likely the first American journalist to tour the entire, once-hardly accessible island since the renewed U.S.-Cuba relations. For almost a month, he, producer Michelle Lacamoire and photojournalist Mario Alonso documented life in each of the provinces of the island. The unprecedented series of stories which documented the lives of Cubans throughout the island was called "Historic Access: Cuba Coast to Coast." The 34 individual stories and subsequent two-hour documentary focused on the island's beauty, culture, history and the challenges Cubans face every day. The series was complimented with a comprehensive digital experience, which allows visitors to explore the entire island. Hatzel is proud to have covered other major stories in South Florida. He was the only reporter live at the marriage license office in Miami-Dade County, where the first licenses were issued to gay couples in Florida. Michelle Cohen is among the people in the U.S.-Cuba travel industry who are waiting for the U.S. Department of the Treasury to release more details about the new restrictions. Cubans at Western Union stores in Havana reacted to the newly announced limitations the United States is placing on remittances to the island. Stepping up pressure on Cuba, the Trump administration will allow lawsuits against foreign companies doing business in properties seized from Americans after the island's 1959 revolution, a senior administration official said Tuesday. More than foreign 300 artists, including Americans, will participate in Havana’s 13th Bienal, the internationally recognized month-long art festival that kick’s off April 12. Communist Party leader Raúl Castro warned Cubans on Wednesday that they should brace for worsening shortages due to Trump administration policies, but said the island won't return to the extreme deprivation of the post-Soviet period. Cuba's national assembly met Wednesday to enact the new constitution that replaces the 1976 Soviet-era Magna Carta. On day two of her official visit to the Caribbean country, New Orleans Mayor LaToya Cantrell touted Cuba’s health care and education. New Orleans Mayor LaToya Cantrell and several staff members are expected to be in Cuba through Sunday.